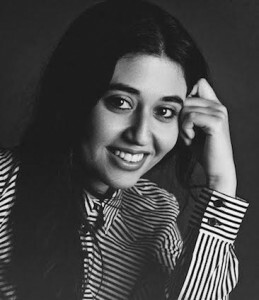 Nora Niasari is an Iranian-Australian film writer and director. Her latest film is Waterfall. Lip’s Rosie Hunt recently talked to Nora about her work. What can you tell me about Waterfall? Waterfall is a short film about a 14-year-old Iranian girl who goes on a road trip with her mother and her mother’s Australian fiancé. It’s really about the tension between the mother and daughter because of this new figure in their lives. It’s a road movie, so very tense and claustrophobic. What was the process like of putting it all together? It was great. I was lucky to find the right the cast – they really embodied the characters. It was a mixture of actors and non-actors, which I enjoy in terms of my filmmaking process. It was a very smooth shoot, four days in the rainforest in Victoria. I really loved it, I learnt a lot about the situation, myself, [and] everyone in the situation. The film is actually inspired by a family road-trip that I had. You studied architecture for your undergraduate degree – how did you get into filmmaking? I started filmmaking in the last year of architecture. I was invited to a workshop in Cardiff, which involved making short films with 60 other students from around the world… it was very immersive filmmaking experience, and from that point I fell in love with filmmaking, the process, and everything about it. And things have just progressed from there? After that workshop I went to Lebanon – one of my professors was Lebanese and he had a workshop in Beirut about post-war reconstruction. I joined that workshop, and instead of designing a building I asked him if I could make a documentary. That was really my first film. I then went back to Lebanon and made an extended exploration of that film about public transport after the civil war. It won a few awards internationally, screened at a lot of festivals, and was broadcast on CNN. I was 21 when I made that film, so it was a real learning curve to do that on my own. I had some great collaborators on the ground, but it was very much a – I just had an idea and I went for it. You’re now about to go to Mexico for a mentorship with Michael Rowe [supported by the Ian Potter Cultural Trust]. What are you hoping to get out of the mentorship? I’ve been working with Michael for the past year or so. He’s been my mentor on Waterfall and my feature film script, and I’ve been running his screenwriting workshops in Melbourne. We have a good working relationship and it’s really a continuation of that, where I’ll have the opportunity to learn from him and his skills on set. It’s a real privilege because he’s a wonderful filmmaker and I love the type of films he makes. I look forward to learning more from him. What is your debut feature film going to be about – can you give me any hints? It’s also a mother-daughter story, similar to Waterfall, but I haven’t fleshed out all of the details publicly. It’s in development this year, so more to come on that one. Over the past couple of years, we’ve heard more and more about gender inequality in the film industry. Do you think that things are changing for the better in that respect? I think that change is slowly happening but it will take a long time on a global scale. In Australia we’re quite lucky – even just recently there have been some schemes really highlighting the importance of gender balance in the film industry and providing female filmmakers real opportunities to get more involved. We’re really privileged here at the moment. In a lot of countries, for example Iran, where I’m from, there isn’t this focus on gender balance in the film industry. There are several other countries where this isn’t really happening. I think it’s more in the Western countries where this is really taking shape. It would be great to have more female-driven cinema, because we’ve really been looking at cinema for the past hundred years through majority male gaze. It’s just a different point of view, I think, when a woman writes and makes a film. It’s a really special thing to be able to encourage more of that in our industry. What have been your own experiences as a woman in the film industry? I think that you just have to be tenacious and be persistent and be confident in your work, nothing’s going to get done if you sit quietly in the corner. It’s really just about being yourself and being confident to tell the stories you want to tell. In Australia if you’re very good at what you do, in whatever department you’re in, you’ll have the respect that you want. In this country we’re lucky that you are rewarded when you work hard for something and that’s a very special thing. In other countries, maybe South America or even Iran or Middle Eastern countries, it’s very hard to get your foot in the door and make your path as a female director, unless you have very specific connections through your family, it’s very hard to make your way up. I think Australia’s a good place to be as a female director these days. What about the Australian film industry more generally? What is the future for Australian film? Australian cinema is still very young. The identity is still being shaped, because it’s a young country. I think there is a lot of room for growth, especially with regards to diverse storytelling. At the end of the day, it’s a multicultural society and a country with a rich Indigenous history, and it would be amazing if cinema could reflect that more than it does these days. I think it’s an exciting time because there is a lot more interest in those other areas of Australian storytelling, so I’m optimistic about it. Great! Looking long-term for yourself, what are you hoping to do with your career? I’d love to have a sustainable career where I can work in different mediums of cinema, television. I’d love to be a part of this wave of diverse storytellers telling a different type of Australian story, exploring migrant experiences and strong female stories. I’d really like to continue that trajectory of work. This entry was posted in Arts, Culture, Film and tagged film. Bookmark the permalink.